Maggie Collins devoted her time to becoming a Vet. She’d only dated one guy in college—her best friend’s brother. He cheated on her and left her broken heart closed. Her best friend Emma wants to take a trip to Bolivia before she gets married. Hesitant at first, Maggie’s excitement begins to give her a different outlook on life. Her excitement is short-lived when Emma goes missing. Maggie’s search for her friend ends up taking her to 1737 England. She wakes up in the home of Sir Heth Manning. He is the ultimate of tall, dark and handsome. Maggie can’t remember how she ended up in 1737. 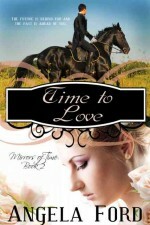 She wonders if it matters now that she is falling in love with an eighteenth century English man. Will she return to the life she knew? Or will the past become her future? View more books in the genre "Historical". View more books in the genre "Series". View more books in the genre "Short Story". View more books in the genre "Time Travel". View more books in the genre "Victorian".